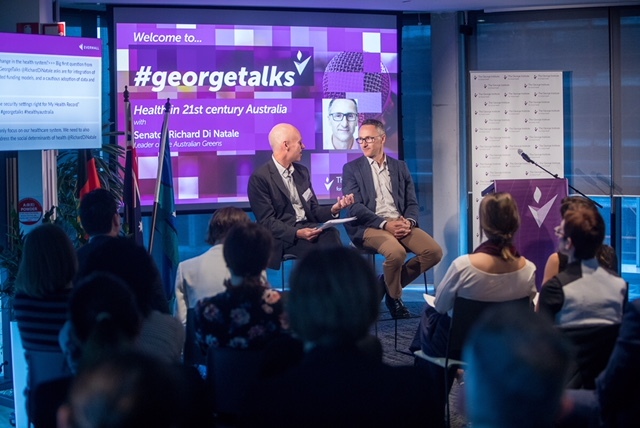 The George Institute, Australia, hosted on 4 October an in-depth Q and A conversation, Health in 21st Century Australia, between Greens Leader, Senator Richard Di Natale and Deputy Executive Director of The George Institute, Australia, Professor Bruce Neal. They discussed health priorities in modern Australia. 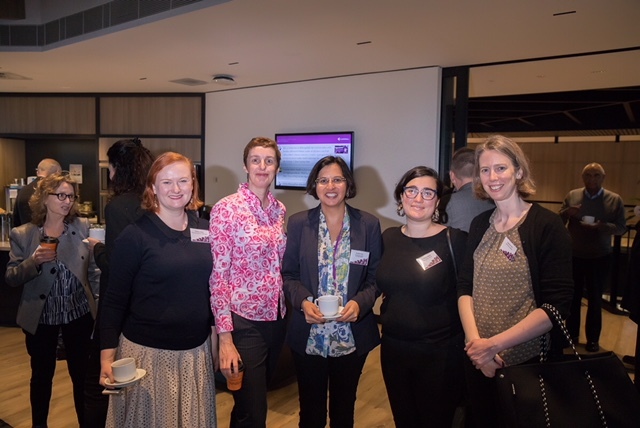 Guests included healthcare professionals, advocates, policymakers, consumers and health researchers. 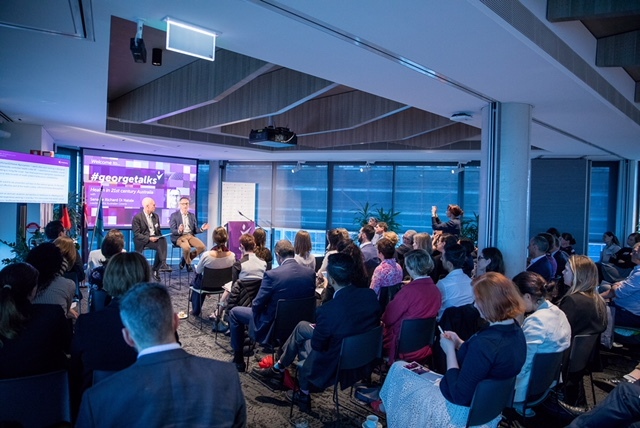 Senator Di Natale stressed that social determinants are a major factor in the health of Australians and that new models of care, such as Health Care Homes, are needed to “un” fragment our health system, address chronic disease and improve primary care. "Funding health is an investment, not a cost,” said Senator Di Natale. 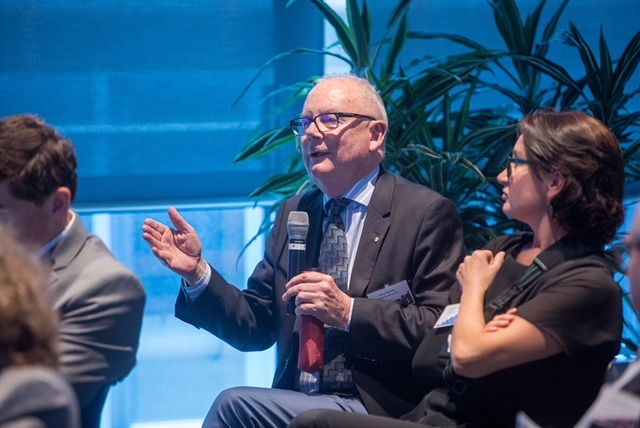 During the conversation between Senator Di Natale and Professor Neal, the Senator emphasised that where a person lives should not limit their ability to access quality care, and also stressed the need for strong Aboriginal and Torres Strait Islander decision making and leadership in identifying effective solutions to Close the Gap. 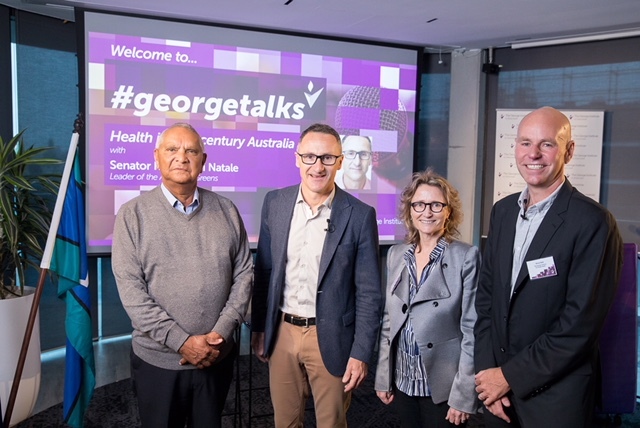 “A crucial part of the vision we have for the health system is the knowledge that keeping people well is the best form of health care,” said Senator Di Natale. “It is the best from every perspective; from individual and community well-being to cost-effectiveness." 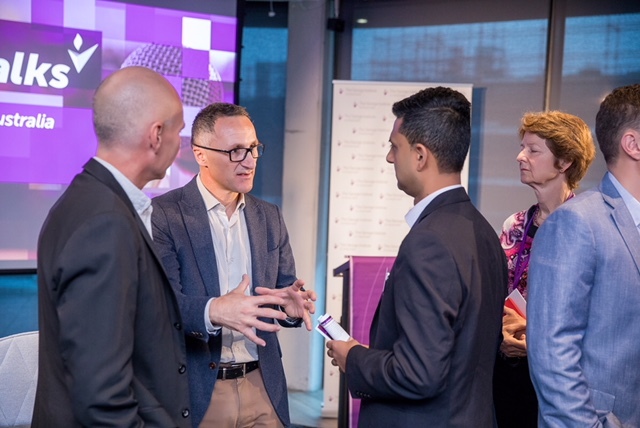 Senator Di Natale also emphasised the need for a national prevention agenda while highlighting the challenge of garnering support for a strategy that produces benefits so far beyond the typical 3-year political cycle. 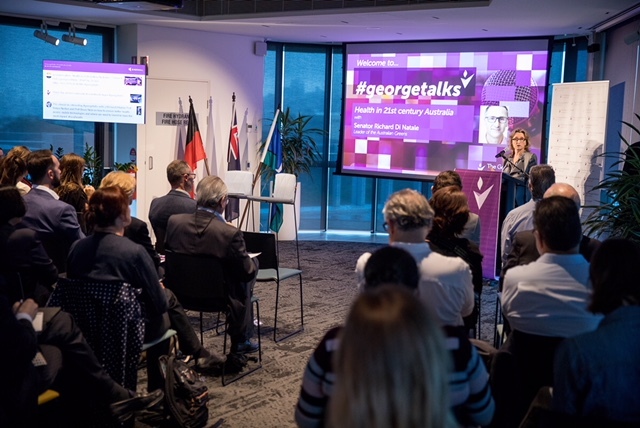 He also highlighted the urgent need to address the public health crisis caused by rising rates of obesity, the implications of obesity for the future of the healthcare system and the impact of chronic disease on lives and the economy. 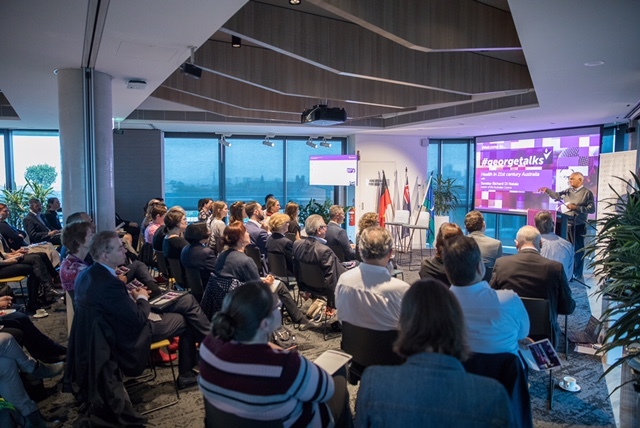 Other issues discussed included My Health Record, which the Senator said was crucial but needed better security settings to ensure consumer confidence. The Medical Research Future Fund was also referenced, with the Senator identifying opaque allocation processes as an urgent problem to be addressed. How do we have the biggest impact on health? How do we ensure better health access for the communities that need it most? How do we create a sustainable and affordable health system?